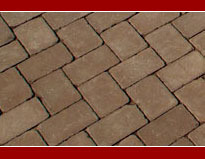 Landi has build a reputable name in the industry of pavers. Our wide selection provides customers a large range of color palette options and unique texture/pattern alternatives. The versatile nature of our pavers eases our customers design ideas and compliments any customized and traditional hardscape layout. The pavers are perfectly manufactured for commercial and residential construction projects. The profound results create durable streetscapes, walkways, patios, driveways and much, much more. Contents Copyright © 2013 T Landi Mason & Landscape Supply. Site Development Copyright © 2013Eyes for Designing. All Rights Reserved.